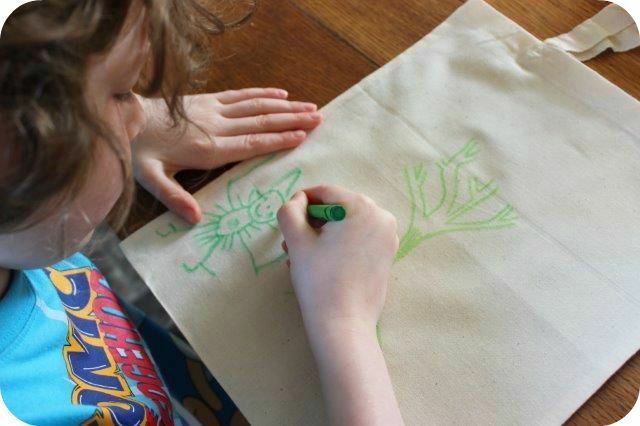 The summer holidays are a distant memory and school is back in full swing but there’s no need to feel gloomy because today’s post combines education with creativity. Whether your little student is learning to read or improving their spelling now you can make your own word game with my brand new tutorial. This was made using materials provided by the good folks at Bostik as part of their Craft Ambassador Program. 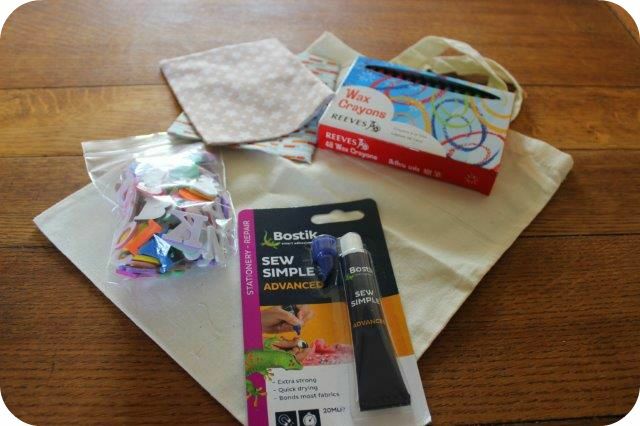 Start by decorating the fabric bag with wax crayons. Once your happy with the design it’s time to fix it. I do this by turning my iron onto a high setting with no steam. 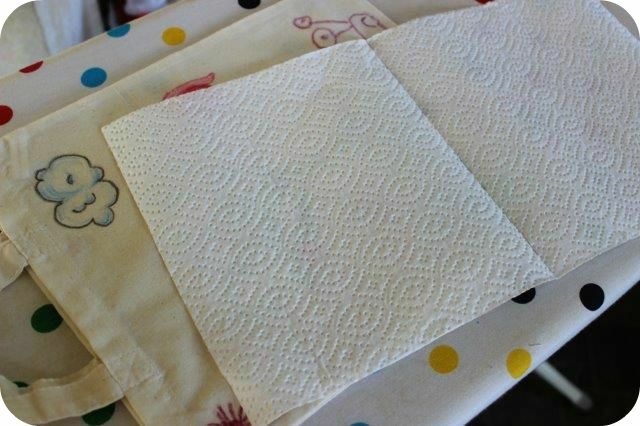 Cover the design with kitchen roll and gentle iron over. The kitchen roll will absorb some of the wax from the surface. Time to make the letter counters! 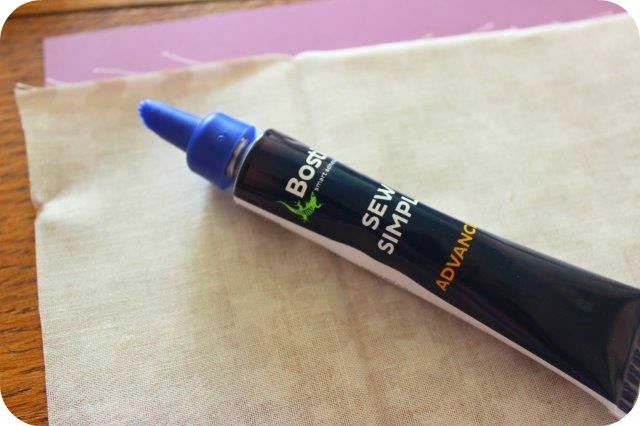 Cut some small lengths of patterned fabric and use the Bostik Sew Simple Advanced glue to stick the fabric to coloured card. Once the fabric is completely dry cut into small squares. 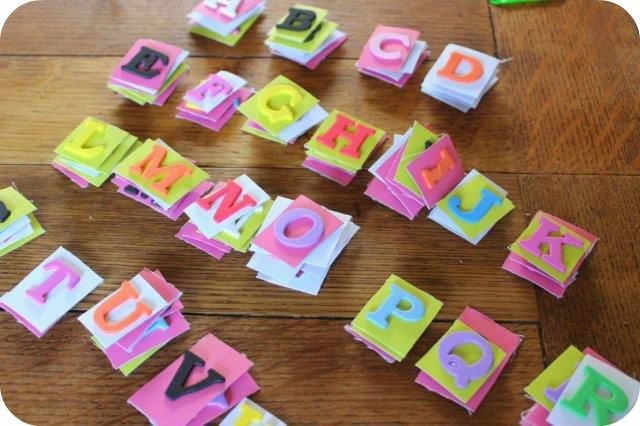 Stick a variety of foam letter stickers to the cardboard side of the counters. Make sure you have plenty of vowels. Now you should have a good selection of letters and be ready to play! 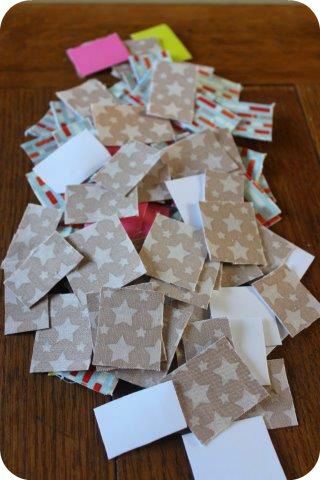 Put all the letter counters into the fabric bag and shake to mix them up. Each player selects 15 counters on their first turn and tries to use as many of them as they can to make words. On each subsequent turn each player grabs 5 more counters and tries to make more words (using any leftover letters from the previous draw). Carry on until all the letters have been drawn. The winner is the player with the least amount of unused letters leftover. 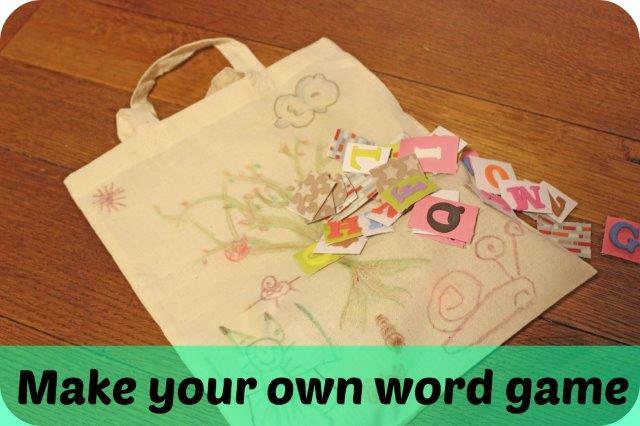 This entry was posted in Tutorials and tagged craft, education, make your own word game, tutorial, word game. Bookmark the permalink. 25 Responses to Make your own word game with Bostik! I love what you have done. Fabulous ideas and so achievable. Perfect for kids. What a great game you have made, my son is really into letters at the moment and we are trying to spell little words. What a fantastic sounding game, it is amazing what you can do when you have the imagination. 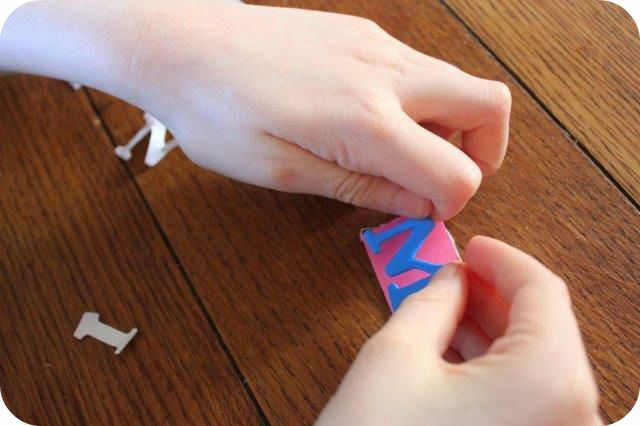 What a great idea and a fun craft to do too. I love word games and so do my kids. A fun game to make and play. I like the idea of making your own – you get a lot more entertainment out of it that way. Awww, what a cute idea and it is so achievable with kids too. Oh wow this looks like fun! i so wish i was more crafty!